Did you ever taste a tomato that was so sweet, and so good, that it seemed to just explode with flavor? What is the secret to growing incredibly delicious produce? If you want to maximize the flavor of your garden, try adding wood ash from native trees to your soil. Wood ash is rich in potassium and other minerals. Plants need potassium to transfer glucose, or sugar, from the plant into the actual fruit. When more potassium is available in the soil, more sweetness and flavor is released into the fruit or vegetable. Wood ash also strengthens and invigorates your garden. If there is not enough potassium in the soil, plants become yellow, weak, and anemic. 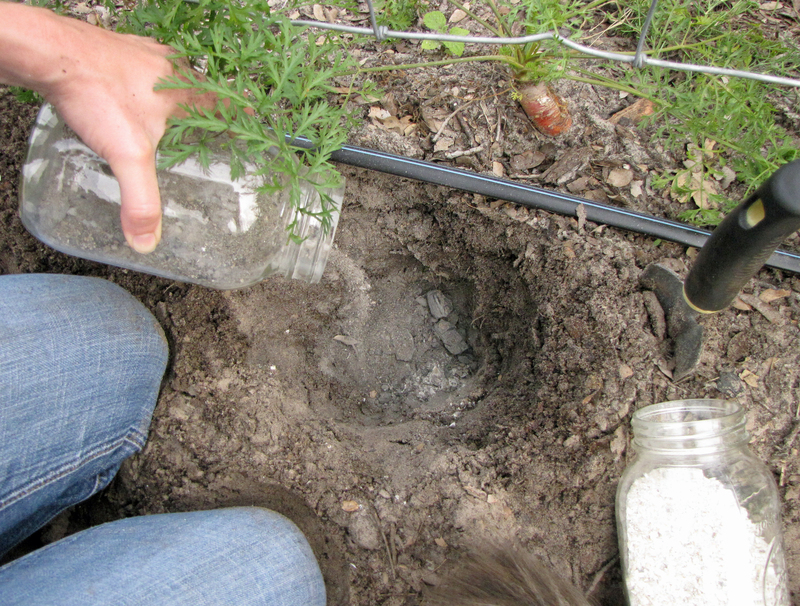 Wood ash also helps plants more efficiently absorb water, which reduces irrigation to the garden. Potassium is essential for human health, as well. A potassium deficiency in our diet causes fatigue and irritability, and can even lead to hypertension and chronic heart disease. The best source for humans to get potassium is from fresh fruits and vegetables, and the best source for plants to get potassium is from wood ash. The wood ash trade was a big business in America from the Colonial Period through the 1800’s. Americans converted much of their seemingly endless forests into wood ash and shipped it to Great Britain to sweeten English crops. Wood ash was typically boiled down in huge pots–which is the origin of term potash, even though modern commercial potash is not derived from wood ash. When boiled with animal fats, wood ash was used to make soap, and Americans increasingly diverted their wood ash to the manufacture of soap. By the Civil War, wood ash became unsustainable in large-scale agriculture, and corporate farms turned to industrial sources for potassium. The secret sweetness of wood ash was forgotten. To make wood ash, only use wood from native trees: pecan, mesquite, or live oak. Never ever use ash from trash or treated lumber, which is toxic when burned. The best place to make wood ash is in your fireplace, and save the ash in large zip-lock bags. In the old days, farmers would simply build a fire right in the middle of their garden, and then rake the cooled ashes into the soil. If you use this method, please be careful and check for local burn ban restrictions. Also, build several small fires in each section of the garden, rather than one huge bonfire, which can scorch the delicate soil and destroy microbial life. 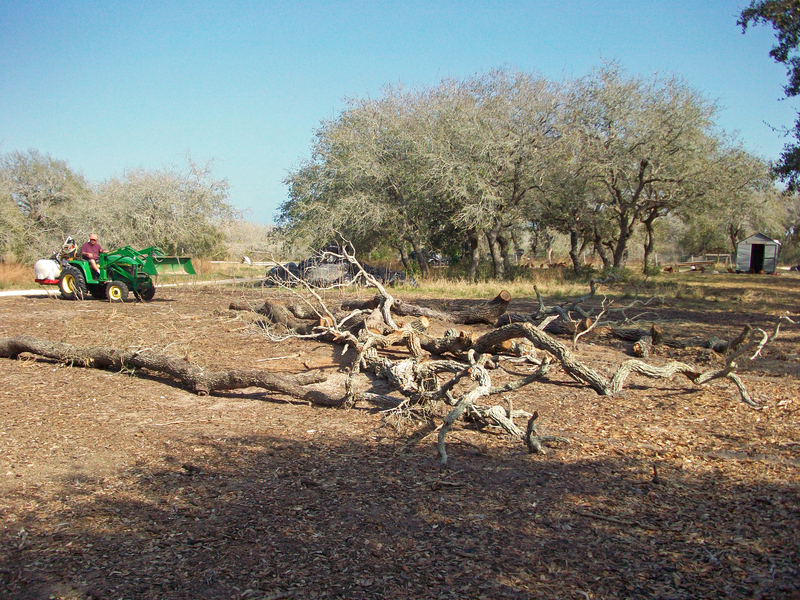 On our farm, we push our live oak limbs and fallen trees into huge piles and let them sit. When there is a temporary lift in the burn ban, we notify the fire department, and then safely convert the limbs into wood ash. We pack the ash into old feed bags and store it in a dry place in the barn. Between plantings, we gently rake the ash into our soil. You only need about one and a half pounds of wood ash per 100 square feet of garden space, applied every six months or so. A little wood ash goes a long way. If you want to grow incredibly sweet and flavorful produce, try adding wood ash from native trees to your garden soil–you will taste the difference. thanks for the great tip of wood ash. you gave a wonderful demo in ingleside at tyler woods place. i heard you talk about nematodes and did not know i had them until i pulled up my sick looking tomatoes. can you give me advice to rid my small garden plot of them. i planted marigold seeds but only a very few have come up.any info would be appreciated. also idid plant the 3 sisters of okra, eggplant and peas and they are doing ok but i did not know i had the nematodes when i planted. Hi Frances! Nematodes are caused by poor soil, and the only solution to nematodes is to improve the health of the soil. Nematodes attach to the roots of your plants and cause weak, anemic plants that don’t produce well, and can even kill your plants. 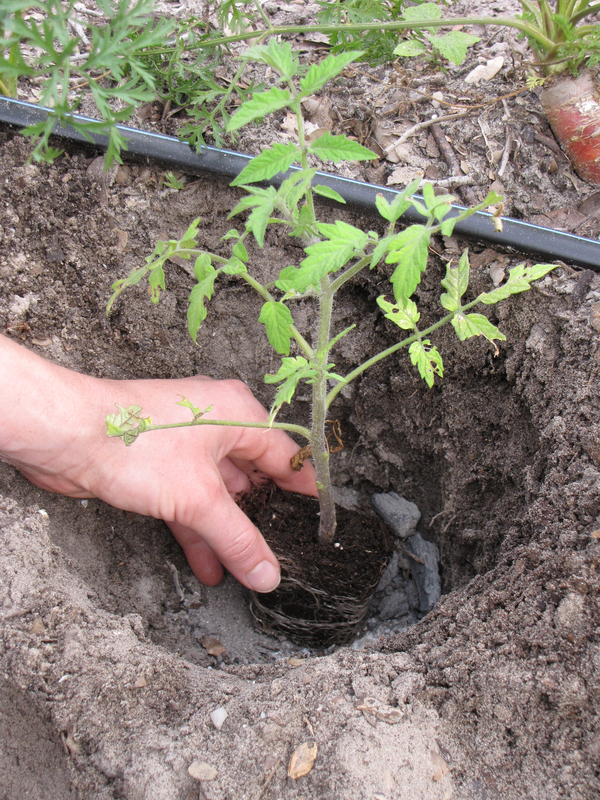 The first step in correcting poor soil is to use the “bio-intensive dig method” described in “Notes on Growing Tomatoes”. When you dig out your current garden bed, remove all the roots in the soil and throw them away or burn them. That will help remove many of your current nematodes. Follow the steps of the bio-intensive dig by adding plenty of compost, greensand, wood ash, and crushed oyster shells as you rebuild the bed. Also, always make sure to cover your soil with a thick layer of native leaves. (Un-mulched soil tends to destroy the delicate top four inches of soil, where most of the beneficial micro-organisms live, which also hurts the soil deeper down and allows nematodes to thrive.) When your new bed is complete, plant your next garden. The process of amending your soil, fertilizing, and growing plants in your garden will continually improve your soil health and eliminate and prevent nematodes over time. Additionally, a great technique for “shocking” the nematodes out of your soil is to intensively plant a dense bed of marigolds in your garden. Marigolds like a lot of heat, and will bloom in the summer–give them time to come up and flower. Use a mixture of French marigolds and Mexican marigold seeds; the different varieties repel different types of nematodes. Let the marigolds grow until it is time to plant your next garden; then simply till your marigolds into the soil. Marigold roots can repel nematodes down to three feet depth of soil. Marigolds emit an odor that nematodes can’t stand. Not only that, marigolds leave an extract in the soil that the next batch of vegetables tend to absorb, which allows them to also naturally repel nematodes and other pests. Happy gardening to you Frances! Very interesting. I have an old long case clock made in Scotland, with a painted dial. Each quadrant of the dial is a different continent. For America there is a snake, a lady with feathers in her hair and a barrel with the word ‘ashes’ above. I couldn’t think why ashes would have been important, but guessed it was probably trade. As an urban gardener I don’t have the room for burning trees, but I do add a ready made mixture called “sulphate of potash” to my fruit beds. Thank you so much for this fascinating comment! Would you mind sending a picture of that clock? I would love to see it! My e-mail is justinbutts@clearwire.net. The wood ash trade was big business in America for a long time. During the Colonial Period, much of it was shipped to London or Ireland for crops. The colonists would literally burn the trees around a port on the coast and then load the ashes into ships. Then, the colonists would move upriver burning trees, and the ships would sail up the river to load them. Eventually, Americans began to boil the ashes down in pots, which is where “potash” comes from, and make soap from the ashes. President Jefferson instituted a trade embargo against England and France in 1806, and that helped establish a flourishing soap trade in America. What is remarkable to me is that I learned all of this information about wood ash from history books, without ever realizing the value of wood ash in the garden! There is not very much about wood ash in gardening books. Thank you so much for your comment! Happy Gardening to you!